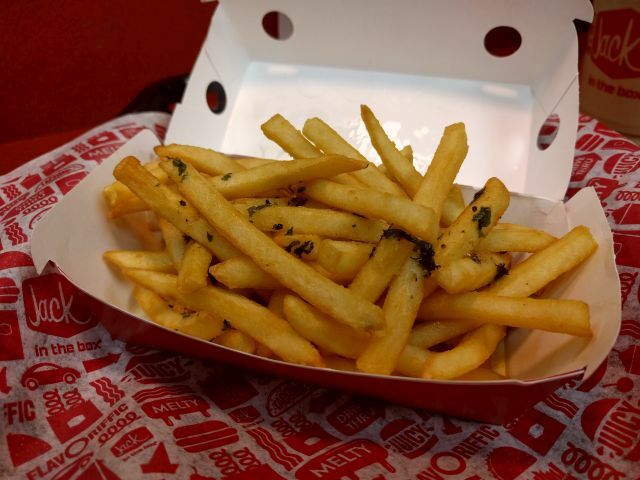 Jack in the Box's Garlic Herb Fries feature their regular French fries topped with garlic herb sauce. I picked up an order for $2.49. The fries seemed to have come fresh from the fryer as they were piping hot and crispy. If you've never had them, they're about the same size as McDonald's fries. but don't quite have that savory depth of flavor. The "garlic herb sauce" appears to be the same as the garlic herb butter on the Buttery Jack as there's a buttery quality to it. Beyond that there's also a mild garlic flavor along with some sparse bits of parsley. 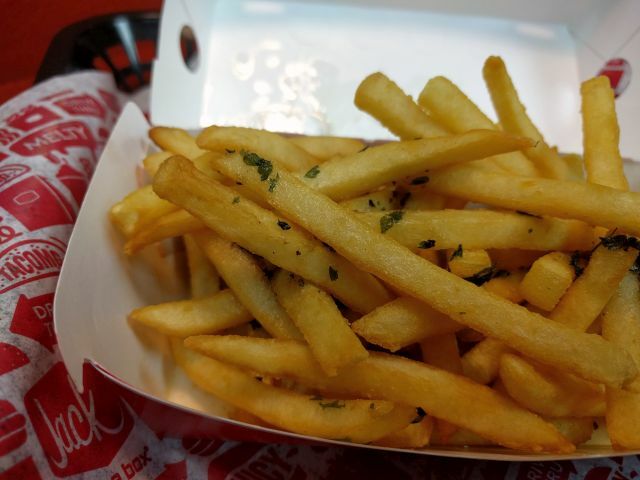 It's pleasant enough but doesn't have the same bite as the more typical minced stuff you often get on garlic fries. Your best bet to get more than hints of garlic flavor is to sop up the liquid garlic butter that pools on the bottom of the paper tray. 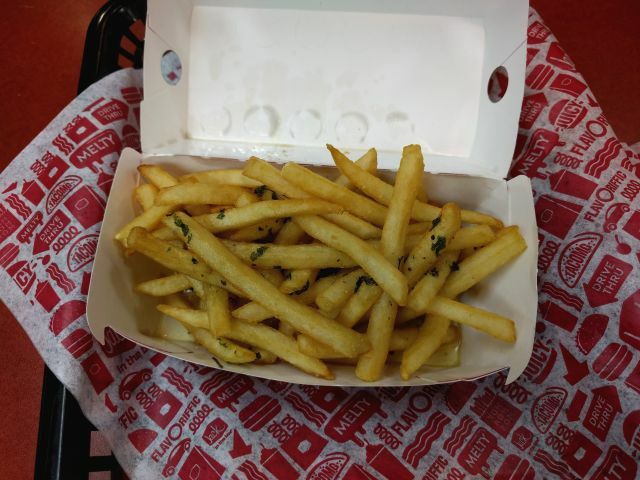 Overall, Jack in the Box's Garlic Herb Fries were tasty but may be too mild for fans of garlic. Then again, they're relatively inoffensive so that even people that hate garlic might not mind eating them. Also, they cost about the same as a regular order of Jack's fries.